Russia's hybrid military forces attacked Ukrainian army positions in Donbas 44 times in the past 24 hours, with one Ukrainian soldier reported as killed in action (KIA) and five as wounded in action (WIA), according to the press service of the Anti-Terrorist Operation (ATO) Headquarters. Illegal armed groups were most active in the Mariupol sector, where they mounted 24 attacks on the positions of the Armed Forces of Ukraine. Late in the evening, they were firing banned 120mm mortar shells at Ukrainian troops stationed near the village of Novotroyitske for one hour. 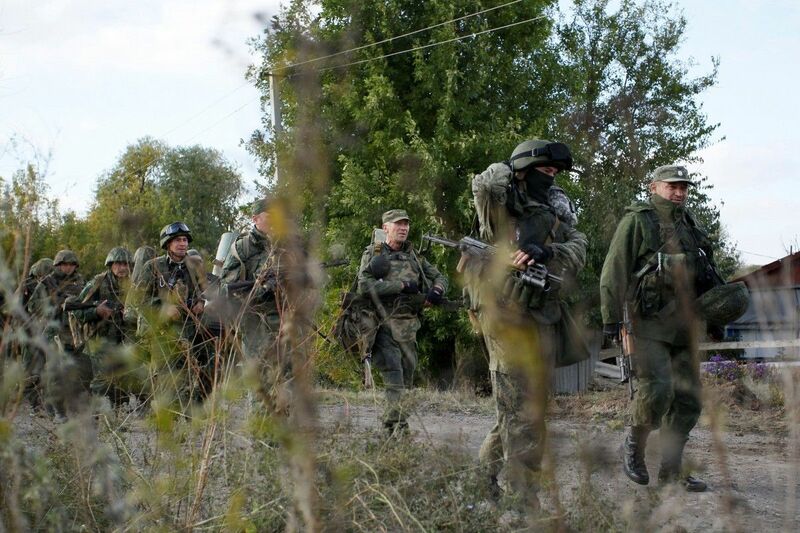 After dark, the enemy also carried out armed provocations with the use of small arms and grenade launchers near the villages of Shyrokyne, Hnutove, Berezove, Bohdanivka, and Pavlopil, and the towns of Maryinka and Krasnohorivka. In addition, the Ukrainian fortified positions near Krasnohorivka and Bohdanivka were attacked by infantry fighting vehicles. Furthermore, enemy snipers were active near Shyrokyne, Pavlopil, and Maryinka. Read alsoThree Ukrainian civilians injured in booby-trap blast in Luhansk regionHaving attacked an agri-business near the village of Novoluhanske in the Donetsk sector on Tuesday morning, the Russian occupation forces continued shelling residential areas and infrastructure facilities in that zone. Thus, at about 19:45 Kyiv time, they once again mounted mortar attacks on the town of Avdiyivka. As a result, three civilians who were standing at a bus stop amid the shelling were wounded. They were taken to hospital. One of them is in serious condition. Additionally, one of the mortar shells exploded in the courtyard of a private house. Fortunately, no one was injured there. Avdiyivka and its outskirts remain the hottest spot on the map of the Donbas war. Last evening alone, the enemy used banned 120mm mortars along that section of the demarcation line, as well as repeatedly shelled the Ukrainian fortified positions, using grenade launchers of various modifications and different small arms. Moreover, the villages of Pisky and Zaitseve defended by the Ukrainian army in that sector were attacked by the enemy's infantry fighting vehicles. In the Luhansk sector, there were six instances of shelling by Russian-terrorist groups in the past day. In particular, from 18:00 and until midnight, the occupiers were firing grenades along with small arms on the Ukrainian fortified positions near the villages of Krymske, Luhanske, Syze, and Donetskiy.